We wrap up our week-long coverage of the best products of 2012 with a look at the business and productivity category. And there's plenty to chew on, starting with Microsoft's entrely new operating system and ending with—interestingly enough—software that enables musicians to use ethernet networks in a completely new way. What do you think of our picks? Please drop us a line in the comments section below. And be sure to read our complete list of the 100 best products of 2012. With its biggest OS rollout since Windows 95, Microsoft seeks to embrace all things computing with a one-size-fits-all operating system. Windows 8 has already spawned new designs and all sorts of hardware experiments. This bold step forward has rattled some longtime users, but the new look just might win over a new generation that Microsoft must attract to remain relevant. In our eyes, it's the most important product of 2012. Many early Windows 8 adopters miss the Start Menu. Stardock, known for desktop customization software Fences and ObjectDock, responded with Start8, an inexpensive utility that adds a StartMenu to the new OS and allows you to disable the new hot corners to make your transition less jarring. We placed it at number 23 on our top 100 list. We’re recognizing this three-year-old crowd-funding site—the 25th most-important product of the year in our view—because it opened the crowd-funding floodgates this year. 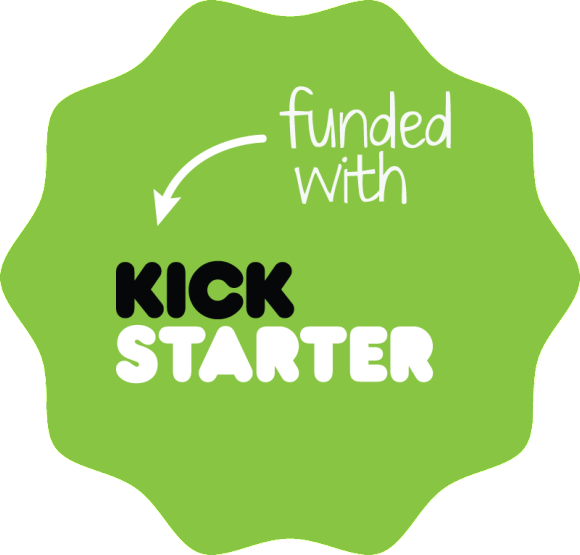 Marquee products such as the Pebble E-Paper Watch and the Ouya game console raised millions, demonstrating that Kickstarter isn't just for amateurs and side projects; it’s changing the way new products get funded. Yes, this free video-chat service debuted in late last year, but it really took off in 2012. It supports up to 10 callers equipped with browsers, webcams, and Google+ accounts. It’s not only a fun way to connect with friends—it’s also a fabulous workplace collaboration tool. Participants can share a screen and view joint presentations. Hangouts landed 49th on our Top 100 list. Stop memorizing passwords. Show your mug to your smartphone, tablet, or PC, instead. This facial-recognition software will then require you to identify a secret symbol to gain access to secure apps and websites. That two-factor authentication will foil efforts to fool the software with a photograph or video. "Pinning" entered the lexicon in 2012 as Pinterest users built online pinboards to collect, organize, and share everything interesting they found on the Web. The versatility of this service—you can also use it for event planning, building shopping lists, and other productivity-related tasks—rendered Pinterest (number 67) the fastest-growing website to date. Few writers can brain-dump an entire novel or research proposal straight into a word processor. Scrivener for Windows, a PC version of the popular Mac program and number 60 on our list, helps you organize your ideas and notes. You can switch between corkboard, outline, and continuous-flow "scrivening" views to see how your opus is shaping up. Woe to the small-business owner who doesn’t balance the ledger. QuickBooks (number 62) isn’t the most powerful software for the task, but it’s very easy for novices to set up and use. If it doesn’t handle a function you need, a third-party add-on probably does. We saw a flurry of new Linux distros in 2012, but DSL is particularly notable because of its size. This operating system will run on older computers that would collapse under the weight of Windows or any other mainstream OS. As such, it can breathe new life into old hardware. And for that reason, we named it number 82 of our top 100 products. Small-business owners looking for professional-quality video surveillance will appreciate the features Axis delivers with its model P1344 IP camera. Landing at number 83 on this year's list, this model delivers precision optics, true HDTV resolution, and h.264 video encoding. And with power-over-ethernet support, you’ll need just one low-voltage cable to set it up. Software doing the work of hardware almost never satisfies, but here's an exception: The free version of Multiplicity 2.0 lets you control two computers using a single mouse and keyboard every bit as effectively as an expensive USB keyboard/mouse switch. Spring for the paid version ($40), and you can control up to nine computers. Number 84 on this year's list. Most programs don't prioritize email; it just shows up, with equal weight given to emergencies and uninteresting retail pitches. Sanebox shows only your most important email, shunting lower-priority missives to folders such as "SaneArchive" and "SaneLater." This cloud-based service works with any IMAP email, and it's surprisingly good at guessing what you want to see. It's number 88 on our list. Yes, this choice is a little esoteric, as it's designed for musicians. If you fall into that category, this software is worthy of your attention. Updated in September, rtpMIDI lets you control MIDI (Musical Instrument Digital Interface) devices (including other computers running MIDI software) with a networked PC or even an iPad.